*Disclaimer - I received the product in this post from Think Jam. Has your family seen A Wrinkle In Time yet???? 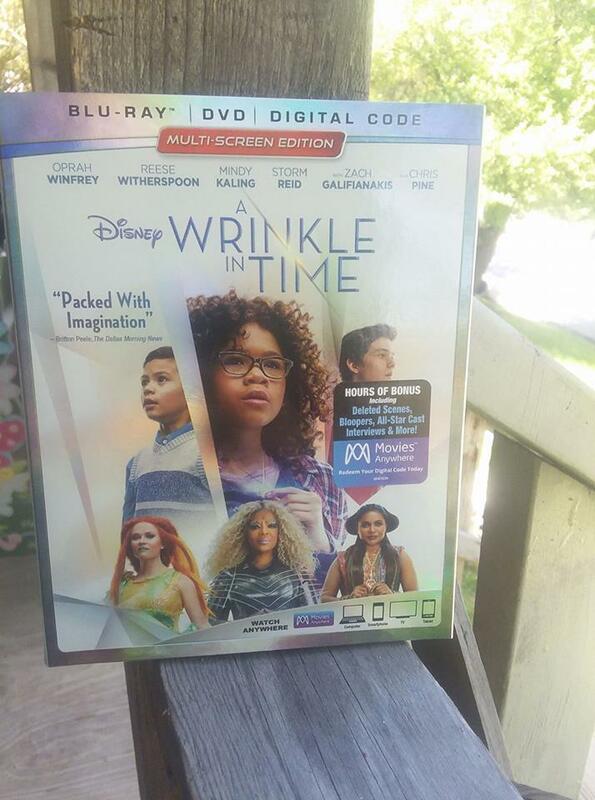 Just in time for summer break, Disney’s A Wrinkle In Time comes to blu-ray combo pack June 5! I fell in love with this movie so much, especially after having been able to help promote the film before it came to theatres. I love everything about this movie. The stunning story of an ordinary girl’s extraordinary adventure through time and space offers exhilarating entertainment and positive messages for the whole family— encouraging self-confidence, inclusion and pushing imagination to the next level. Families who bring home A Wrinkle in Time will go behind the scenes to meet the talented craftspersons, actors and filmmakers who brought to life every spectacular detail of this triumphant tale.